by Margaret King, published in Bio. 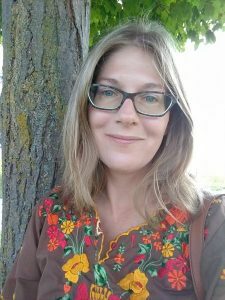 Margaret King is a Wisconsin writer who enjoys penning poetry, short stories, and young adult novels. In her spare time, she likes to haunt the shores of Lake Michigan, similar to many of her fictional characters. Her recent work has appeared in Unlost Journal, Moonchild Magazine, Verdancies, The Writer’s Cafe Magazine (UK), Mystic Blue Review, Rag Queen Periodical, Poetry Superhighway and The Ginger Collect. She is also the author of the novella Fire Under Water.